A grappling-based (non-striking) self defense martial art, the aim of Brazilian Jiu Jitsu (BJJ) is to force your opponent into submission with joint locks and chokes. “Joint locks and chokes! That seems dangerous”. In our kid’s program, we ensure the technique is both safe and age-appropriate while under the watch of a qualified instructor. Our goal is to create a safe and fun environment for your children. The focus is on technique and leverage allowing a smaller person to defeat a stronger opponent. BJJ is often described as a “physical game of chess” due to its depth and technical nature. Your child will become bully-proof! A typical class begins with some tumbling, break-falling (learning how to safely fall in a variety of situations), activities and drills specific to BJJ that serve as a warm-up and help reinforce skills. With everyone properly warmed up, the instructor will typically teach a technique this is usually a position, submission, sweep, takedown or escape. Students will then practice the technique with training partners, under the close guidance of the instructor. 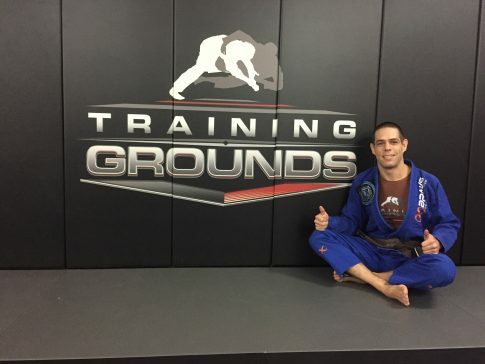 After more techniques and drills, we generally move on to some fun games that are either related to BJJ or otherwise teach valuable concepts or develop beneficial skills. As with everything in our kid’s program, we ensure the technique is both safe and age-appropriate. Eric is a locally competitive Brazilian Jiu-Jitsu brown belt who has been training for the past 9 years with wins as recent as Feb 2018 - Aus Sub Only brown/black 77kg. Eric holds a valid Working With Children permit. Does my child need any experience to join this program? No, our Children’s BJJ classes cater for all experience levels. The vast majority of our students come into the gym with no prior experience. Your child will be taught exercises and techniques appropriate for their skill level. Is Brazilian Jiu-Jitsu safe? Will my child be getting hit? Our number one priority is your child’s safety. Our classes are very closely supervised and our program is designed with safety in mind. A grappling-centric martial art, Brazilian Jiu-Jitsu focuses on control, with no striking or impact. Your child will never be punched, kicked or otherwise hit. With the nature of the martial art, supervision and experienced coaches we provide, we feel confident saying that our BJJ classes are safer than most conventional team sports. With the techniques and skills that your child will learn, your child will be safe in the gym and safer on the street and school ground. Does a parent of guardian need to be present for the classes? For the first class we would recommend that you watch for your own peace of mind and to help your child feel comfortable. Beyond that, you are certainly very welcome to continue watching the classes but it is not required. Please ensure that your child has a safe route home if you are not there to pick them up when the class finishes. For their first class, shorts and t-shirt is fine. Beyond that, they will require a Brazilian Jiu-Jitsu gi (similar to a judo gi as is worn in The Olympics). We have some gis available for purchase at the gym. When the kids jiu jitsu classes finish, the beginner’s Adults start 15 minutes after. Your child is welcome to wait around though there is minimal supervision. If you don’t wish for your child to walk home please let inform the instructor.